Inspired by Monty Python's Flying Circus and a gang of old ladies who steal telephone boxes, ride scooters and make a mess all over the city, Microgaming has developed this five-reel 25-payline comical slot that features tattooed cigarette-smoking grannies and knitted elements everywhere: in the controls panel, on and around the reels, on the symbols, etc. 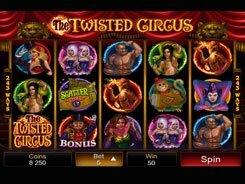 A coin value is configured from $0.01 to $0.2, and a total bet per spin reaches $100, which will surely appeal to high rollers. 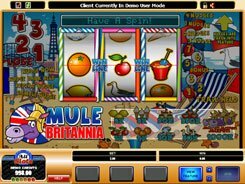 Regular symbols (grannies and playing cards) pay out up to 1000 coins for 3 to 5 identical images appeared on an enabled payline, but the top prize of 2000 coins is granted for a Knit Fast, Die Warm wild symbol if five of them land on a payline. 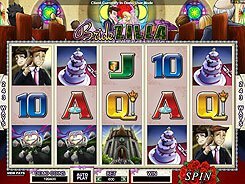 Three or more scatters activate a Spin It to Win It bonus feature. 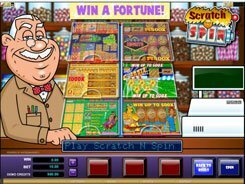 On a second screen, you should spin a wheel to get a certain number of free spins. 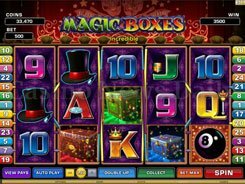 E.g., you can be awarded 5 FS at a x2 multiplier, 10 FS at x3, 15 FS at x3, etc. 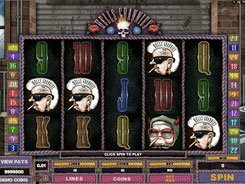 Hells Grannies is one of the funniest and most entertaining slots delivered by Microgaming offering some extremely generous payouts and a genuinely amazing theme.